19 of 30 speeches finished. 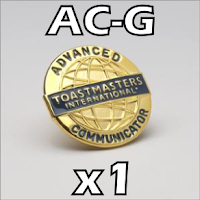 Completed my Advanced Communicator Gold designation and a triple crown this evening at the Advanced Toastmasters club in PG. Last speech was Moral of the Story from Storytelling and I spoke about the Ant and the Grasshopper. 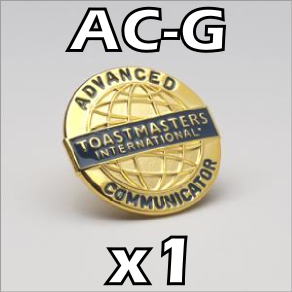 Feels surreal to finally be done my AC-G designation six years, almost to the day, after starting. It looks like I can finish off my second and third CC designations before end of year. Perhaps getting six educational designations will be the new order of the day.